Original and unique concept! Three card packs to choose from, or get the full collection for a special price. 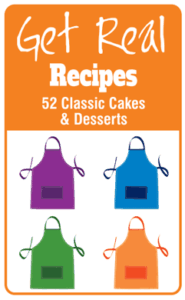 Each box of cards contains 52 Classic Recipes and there is a complete recipe on each sturdy card. 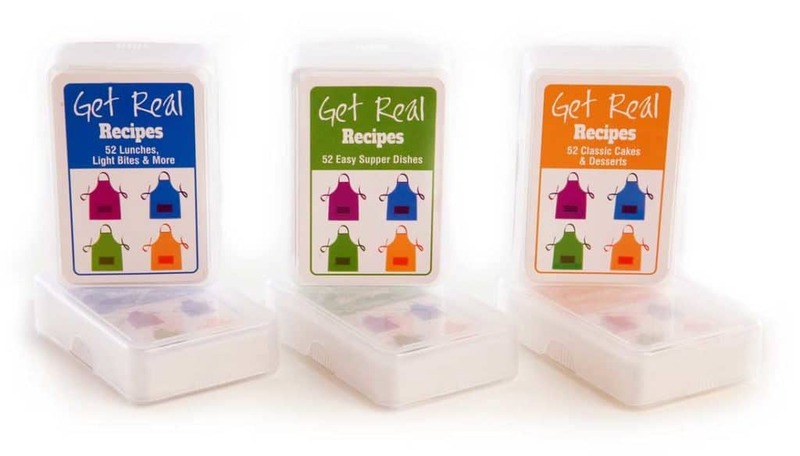 A fantastic recipe collection to carry in your pocket and a great gift. "Never be stuck again! Need Inspiration? Classic simple recipes with no fuss, with a list of all your ingredients needed, ready for the shops!." Great ideas for simple, favourite everyday dinners for family and friends. Also lots of fun suggestions for entertaining and special occasions. Recipes include Chicken, Beef, Lamb, Pork, Fish, Vegetarian & Pasta plus three joker recipes! From Chicken Satay to Ducky Pie, from speedy pasta to easy vegetarian recipes, there is something for everyone! The six sections in this pack include Hot and Cold Desserts, Cakes, Traybakes, Biscuits, Tealoaves, Muffins and Scones. Classic favourites such as Apple Crumble, Eton Mess and Sticky Toffee Pudding. Fun new ideas like Crunchie Ice-cream or Quick Chocolate Pudding. Cakes include a foolproof scone recipe, healthy seed bars, to the best ever lemon drizzle cake! For everyday lunch ideas we have delicious soups, fun salads and easy breads. For any meal there is also a selection of starters, light bites and sides. Learn to make your favourite soup and try the easiest breads ever using beer and porridge! From Spicy Chicken Wings to Crunchy Roast Potatoes and healthy delicious salads you won’t be stuck for ideas! If you are looking for some inspiring and simple recipes, these are perfect. I highly recommend these and have given my student daughter a set of each to share with her housemates. 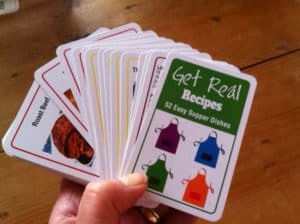 They definitely cook more often with Get Real Recipe Cards. Received my cards yesterday. Thanks so much they're fantastic! I'd friends here today I made the mushroom soup and cheesy toast they were all very impressed! Cant believe how simple it was to make and so tasty. I've all three packs now and I love them. I have bought the Classic Cakes & Dessert cards, they are fab and have baked lovely cakes with my 3 little girls. I would just like to say I bought your baking cards and I can't imagine how I have come this far without them. They are so handy and the recipes are scrumptious, thank you for bringing them into my life. The scones are to die for and the brownies are a big hit in my house. Baked the beer bread. Katie and I made it this afternoon. Your bread is truly fantastic. Well Done! Thanks a million!